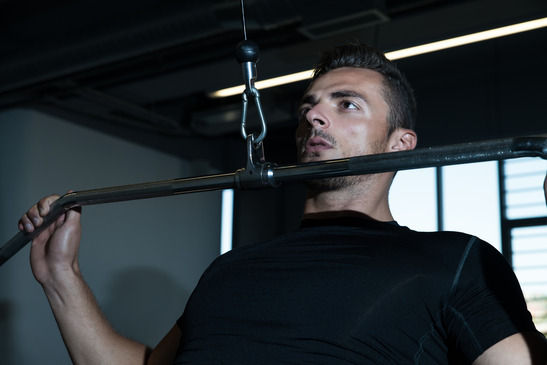 You’re already on the right track by choosing the lat pulldown bar for your workout, which builds major strength by emulating chin ups. Most machines also encourage balance in your body and muscles. However, this particular exercise machine is commonly used incorrectly. 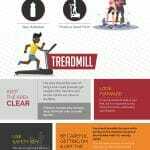 Here are a few ways you can make the most your workout time, and do it correctly. 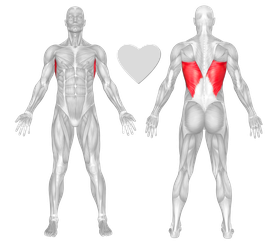 Once you’re set in the correct position, remember to pull down from your lats. Think of pulling strength from your armpits, which is where the lat muscles are. Make the most of the movement by going through the full range of motion, starting with arms straight up and down and pulling down until your arms are in a 90 degree angle (at your chest), with elbows pointing down. Note that one of the biggest mistakes is pulling the bar down too low. If you’re pulling down to your stomach or feeling yourself lean backward to pull it down you’re doing it wrong. In this case you may be using too little weight or too much, respectively. Another dangerous mistake is pulling the bar behind the head. This puts too heavy of a load on your spine, which not only doesn’t work the proper muscles but can lead to injury as well. Don’t just use this machine sporadically. If you want to see results, use it three times a week. This gives your muscles time to rest between workouts. At the start, do a small amount of reps (3 to 5) with minimal weight to ensure your form is okay. 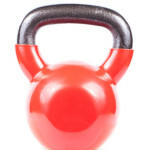 When you can comfortably do that, increase weights and reps. Moving just 5 pounds is enough to challenge your muscles. If this is too easy, make it harder: Try close-grip pull downs if you feel you’re plateauing on the machine, try a close grip pull down. 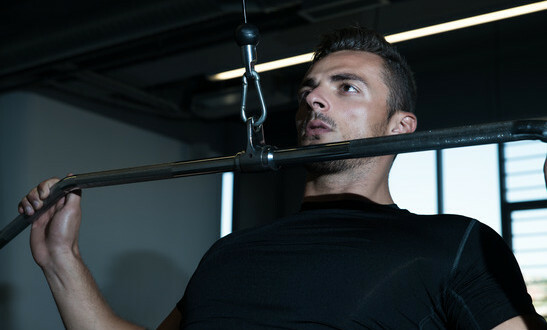 If it’s too difficult, use a hook grip (when your thumbs aren’t holding the bar) to take some of the work off your forearms.